Live music and dancing every Friday night at Space 550 in San Francisco. Doors open at 7:30pm followed by a beginner salsa and bachata lesson at 8pm. No experience or partner necessary. There are two rooms for dancing with a different live salsa band every week. Dancing until 2:30am every Friday night with a full bar for drinks. 21+. I think the place has potential because there are three dance floors, one large floor (ground floor) and two small floors (one on lower back left, other upstairs). The problem is that when you mix hiphop, cumbia, Latin house, reggaeton in that back room – you completely change the vibe of the crowd; it becomes more urban, less friendly – in my opinion. The sound is ok in the main room, stage is large, floor is large, and the floor is ok – but there is more bumping and lack of respect than I would like. People have talked about car breakins but I have not experienced them in the 5 times I have visited. The upstairs was bachata – and that is fine – bachata is good everywhere I think. And most of all, the price is too high. No one wants to pay $20 covers for salsa when you can see a band and dance in another place for $10. Even $15 is high-end, but you can get away with it on Fridays in a good place. If you want it to be a reggaeton or cumbia club, then make it that, get a lot of security, check for weapons, …, and then you can keep it busy for $20 until it gets shutdown at some point because security couldn’t handle the crowd. Hi Steven, thank you soo much for the review. I think that you might be confusing this party with a party that happens on another night at the same club. We have never played cumbia or reggaeton or hip hop. We have live Salsa bands every Friday in the front room, Bachata DJ’s in the back room, and now that the upstairs is remodeled with new floors and better sound we will start once a month Brazilian parties with live bands, and a Kizomba party on May 29th. I understand that $20 may feel like a lot, but all of that goes towards top notch music and maintenance of the nicest floors in the Bay. We also have discounts every week for those who have joined our mailing list at http://www.DanceFridays.com. Also, on Friday, May 15th we are bringing Pacific Mambo Orchestra, featuring 20 Grammy Winning musicians, and charging only $15 for pre-sale. As for people bumping into you on the dance floor, I am so sorry if that happened on one of our nights. We have the biggest Salsa room in SF, and I train my students to be as respectful as possible, but I am so sorry if that happened on a Friday. I will do my best to monitor that in the future. Thank you again for coming to the venue and for your honest review. I hope you will try it out on a Friday and let me know what you think. You can reach me at dancesanfransico@gmail.com. I love Space 550! It is quickly becoming the new Cafe Cocomo with regular live salsa music events. I used to go to the “Taste Fridays” event they used to hold at Cocomo, and while the vibe isn’t quite the same, this has become my favorite spot to go dancing in the City on Friday nights. Very beginner friendly with 3 rooms for dancing. Definitely one of the best spots to go salsa dancing in SF! Okay… judging from Ole’s review, there are some folks who set their standards high, as well they should. I’m not going to disagree with Ole because much of what’s written is true. However, this review will focus on the positives of Space550 (aka Club Fuego). I like this venue A LOT. As the apparent successor to Cafe Cocomo, Space550 has managed to keep some of that old momentum and spirit going on Fridays and Saturdays. It’s main Salsa dance floor is huge and the smaller rooms for Bachata and Kizomba are moderate in size. The live music is usually top notch and the occasional DJ rotation makes for interesting nights of dancing. The Friday night crowd is quite lively and full of dancers from all levels. Yes, the old Cocomo crowd has gravitated to this venue quite nicely. The negatives listed by Ole are undeniable, but Space550 still has enough character to attract the serious dancers who are looking for the “right place” to be on a weekend night. I’m happy to report that management is very aware of “the problems” with this venue and is working to meet the public halfway. It’s a large venue with high overhead, so don’t expect the door admission to drop to $10.00. That just isn’t going to happen! However, they do offer discounted tickets online for their different events. 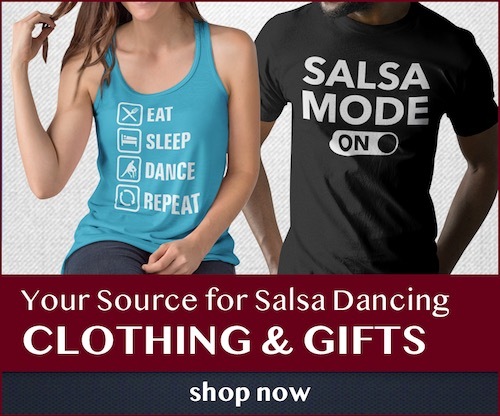 Frugal dancers are quick to jump on these savings, making Space550 the most popular Salsa venue in San Francisco. It’s been my regular hangout since the closing of Cocomo. Do check it out. Club Fuego, Space 550, Dance Friday or whatever it’s called isn’t my favorite place. It’s okay. It’s fine. It’s good enough I suppose but the area is kind’a creepy and I’ve never felt quite right about leaving my car but, so far it’s been ok.
That said, bathrooms should be a priority–especially the ladies’ room. Clean, door closed, towels … c’mom man. Free water? How about you mix up a light agua fresca (minimal sugar) and charge $2 for a big red cup full? $3 or $4 for a bottle of water feels like a gouge (cuz it is). $20 cover should get you into a nice place. I realize salsa works best in places that are kind’a scroungy for some reason … Fuego Space Friday feels like a $12 place … it’s dark, cut up, and warehouse-y, like Cocomo … altho Cocomo tried to dress itself up … lipstick. And yes, SOB! Applaud the musicians! They deserve it. Show some appreciation for their hard work. They feed off that stuff. You’ll get a better show. Fuego 550 Friday? In a pinch. At first reading some of the reviews about how expensive water could be I was a bit hesitant but after visiting, have found a new home on friday nights. Asked about why the bar charges for water and the middle eastern?? gentleman bartender that I spoke with, explained that the promoter and the bar are two different things. The promoter keeps the profits for the cover charge who hires the band and the bartenders / club make money off selling drinks/beverage and collecting tips only. Really can’t blame the club for trying to make money, if everyone only paid for cover, the community probably wouldn’t have a spacious venue to host events at. I’ve been in the salsa scene in various cities for year’s and if you look at how many venues have closed in San Francisco, we’re running out of options. If you want to save a buck or two so that you can spend some money at the bar, buy your tickets early and you’ll shave some costs. Had a great time a couple months ago. Big place, good music, fun people. Lessons are for true beginners. Basically: big room has salsa, the back room has bachata, more or less. I am not into bachata, that is just me….. that room always looks full, though! If you’re looking for a Salsa night club with some good vibes, a fun crowd, Dance Fridays is the place to be. I’ve been attending this club very frequently in the past year and I always take my friends or even my mom whenever I have a chance. This is a 21+ club and there is a wide so all ages will enjoy. There are 2 large spacious dance floors and a large bar with good service. The staff is extremely friendly and very welcoming, they make sure you’re happy and taken care of. I never have any issue finding parking and parking is free of charge and parking my car feels safe especially since the high security. This is a perfect place to bring friends, families and large groups. This is my favorite place for salsa and bachata dancing! The music is excellent with live bands every Friday. The dance community there is wonderful. There are dancers of all levels in both rooms. Everyone is super welcoming to people learning to dance.